Thank you for supporting the Memorial Brick Campaign. Proceeds will support the Aurora Veterans Advisory Council Community Scholarship Fund that provides five $1,000.00 scholarships annually to family members of Aurora veterans. When you click Buy a Brick, you will begin the checkout process by entering the number of bricks you would like to customize. Please note, the system will describe the brick customization as tickets rather than items. Please disregard the system generated option to add guests to the tickets. Continue the checkout process and enter contact and payment information. Within the business day following receipt of payment confirmation, a message will be sent to the email address provided with information on how to submit the brick customization details. How much does it cost to customize a brick? A donation of $125.00 per brick. Is customizing a brick tax-deductible? How do I customize the brick(s)? After payment information is received, a message will be sent to the email address provided during checkout with additional information within the next business day. How often are bricks installed? Once a year there will be a dedication service of new bricks during Memorial Day weekend at the Phillips Park Veterans Memorial. Visit vetsweekaurora.org for more information. Do you have a poster or other material? Yes! View electronic copies of the printed materials. Do you have another question regarding the Memorial Brick Campaign? Email the Council. 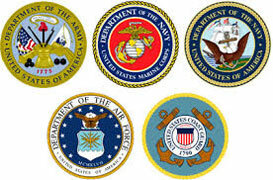 We are advocates for all veterans of all generations and all conflicts. We shall ensure our citizens, our city, and our nation remember the sacrifices of those gone and those who remain. We shall work on their behalf to enlighten the city of veteran situations and likewise inform the citizens about the city’s efforts for veterans.